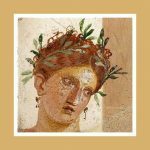 Minoant Art.Crete | Art History Summary. Periods and movements through time. 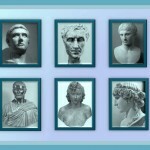 The Island of Crete and their civilization. 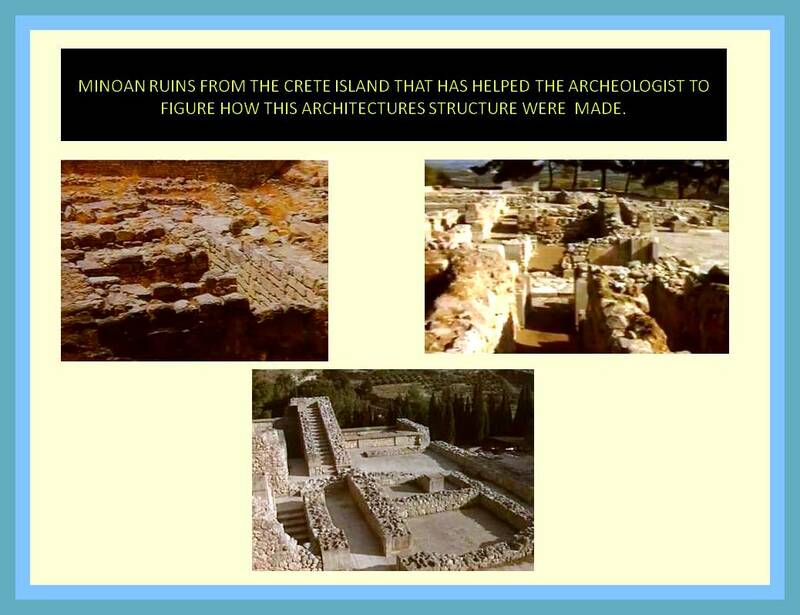 For many years humanity was absolute unaware that a very advance civilization who make a huge impact in Greek culture existed in Crete. After beautiful artifacts were discover in that Island; nobody suspected the magnitud of the importance of this ancient culture. 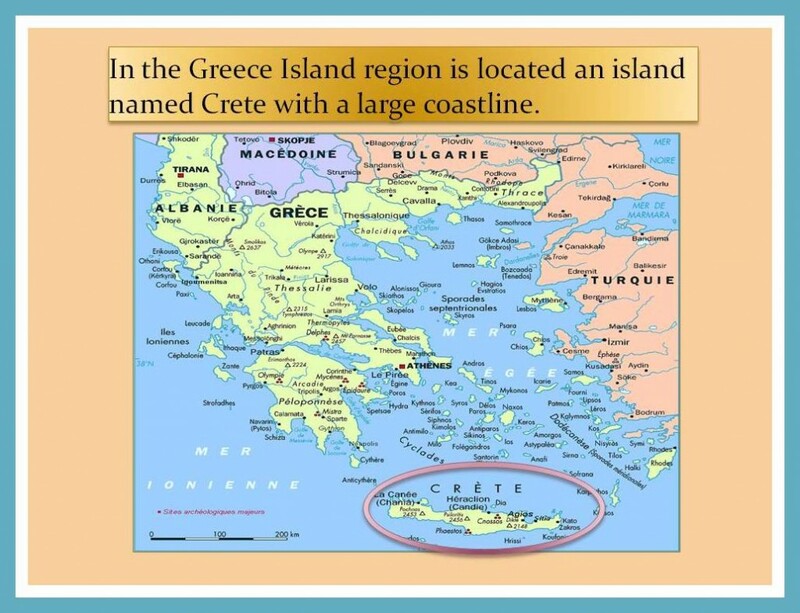 The island of Crete has a large coastline that provides the advantage of navigation. This situation enabled this Island to serve as a link between the region of the East and the West. Towards the year 2800 BC, they formed the first villages, but it was not until the year 2000 BC that they formed and developed cities. 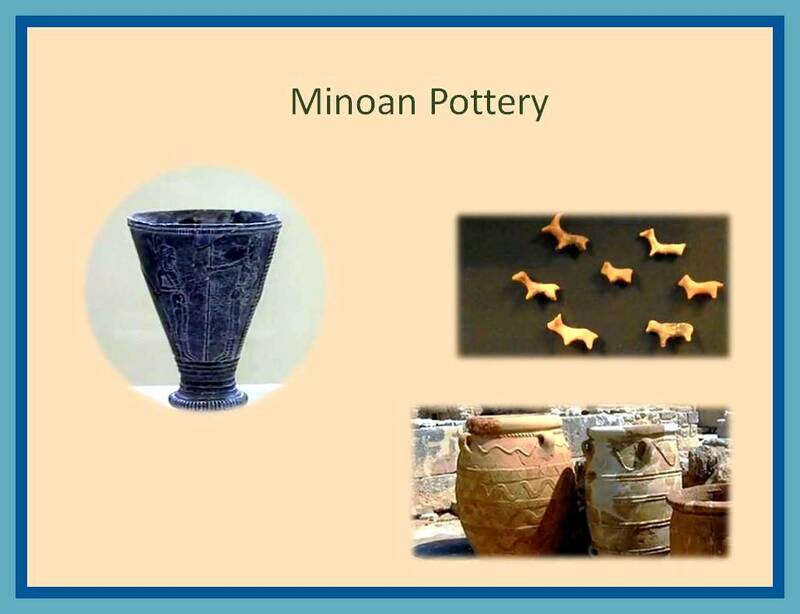 Minoan average 2000 – 1570 C.
Minoan recent 1570 – 1425 (c). 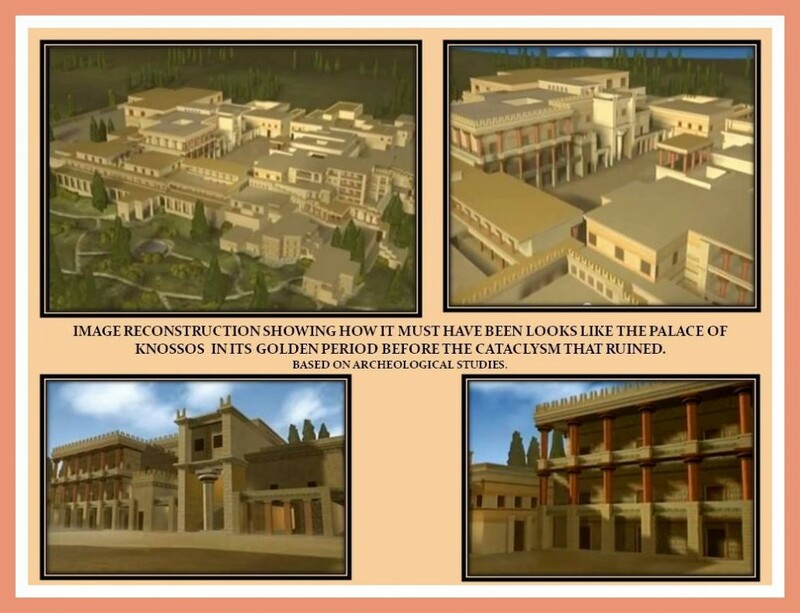 In Crete the cities were beautifully decorated with lavish opulence palaces. It is important to note that these cities were not walled. The Cretans were lovers of nature, inclined toward a kind of life that was pacific and campestral. The island was composed of different sectors and each of them had their King, who directed, controlled and organized agricultural work. Of course in the Royal palaces were stored and were distributed food for consumption of the Palace and for the population in general; that lived in near neighborhoods. Each family was assigned a plot of land to make it work. 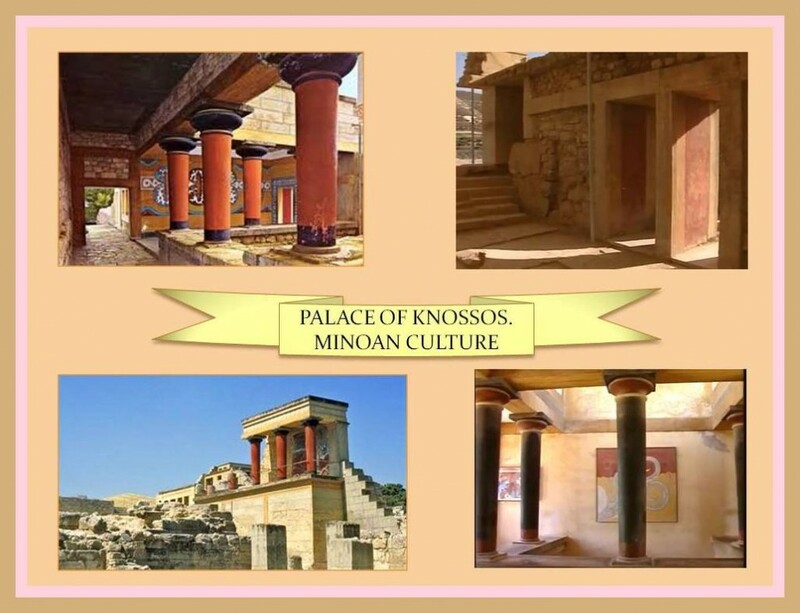 The way they call the Kings as “Minos” gave rise to the other denomination: MINOAN, which is known the pre-Hellenic civilization. 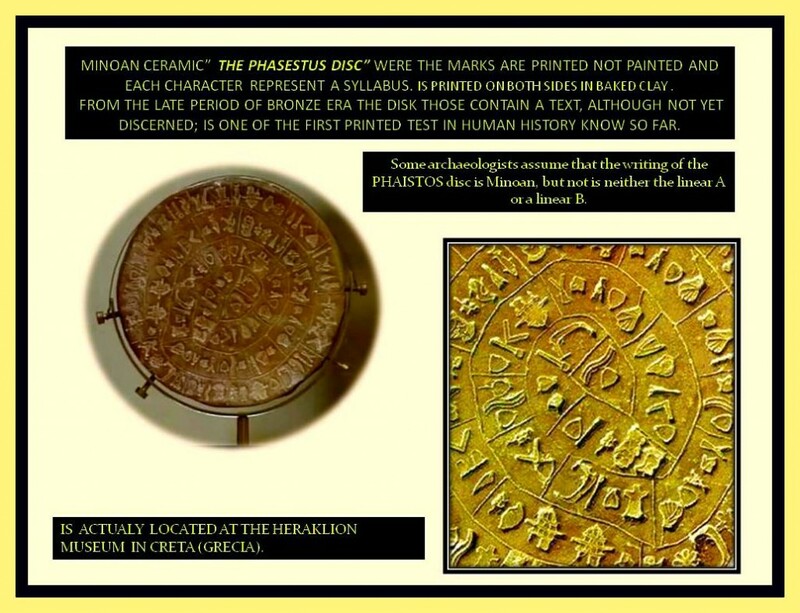 It is not known whow the Cretence civilization call themselves. 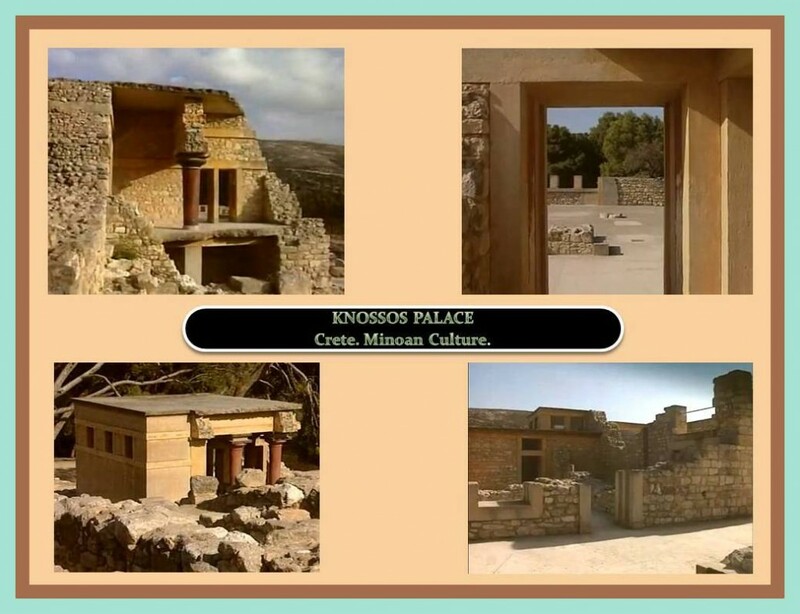 The Palace of KNOSSOS is one of the most interesting examples of this amazing culture. 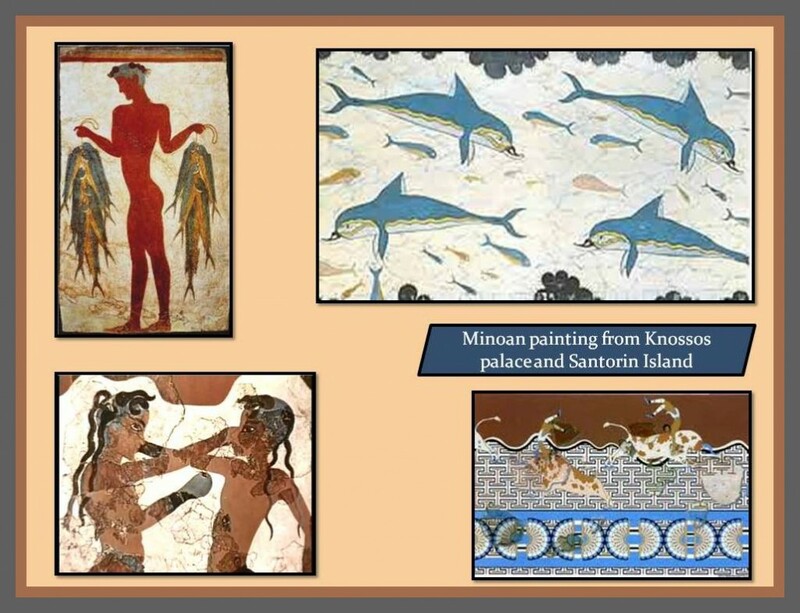 The Minoans In addition to agricultural activities were devoted to livestock and were great sailors; very important aspect because it contributed to the influence of this culture to the rest of the Aegean and develop trade to the point of controlling the sea lanes of the Eastern Mediterranean Sea. 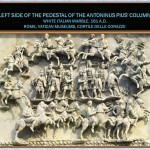 Its points of contact also included Egypt, Cyprus, Syria, Asia Minor, Sicily and the challenge of Greece. We will now analyze the social life of Crete that influence in the development of their culture. 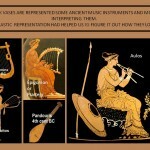 Ancient peoples were mostly POLYTHEISTIC (Polytheism is the religion whose followers believe in the existence of multiple gods or divinities, typically organized in a hierarchy). · In caves or open-air free. 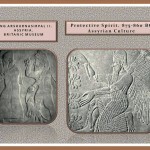 · They performed sacrificed ritual dances. 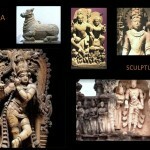 · They offered sacrifices of animals to promote economic prosperity and content to their gods. Within these ceremonies of worship stood the BULLFIGHTING games with maneuvers of evasion of onslaught by acrobats, known for bull-LEAPING. 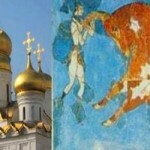 Interestingly, women took part together with the men on this dangerous game of “Bull jump“. 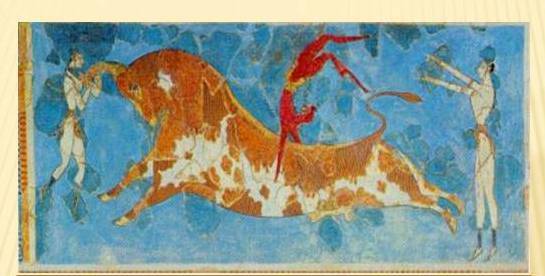 These physical activities on the bull are strongly represented in the Cretan artistic decorations. It seems that those Taurokatapsia performance were carry out in the central plaza, they were public and attended by many people. 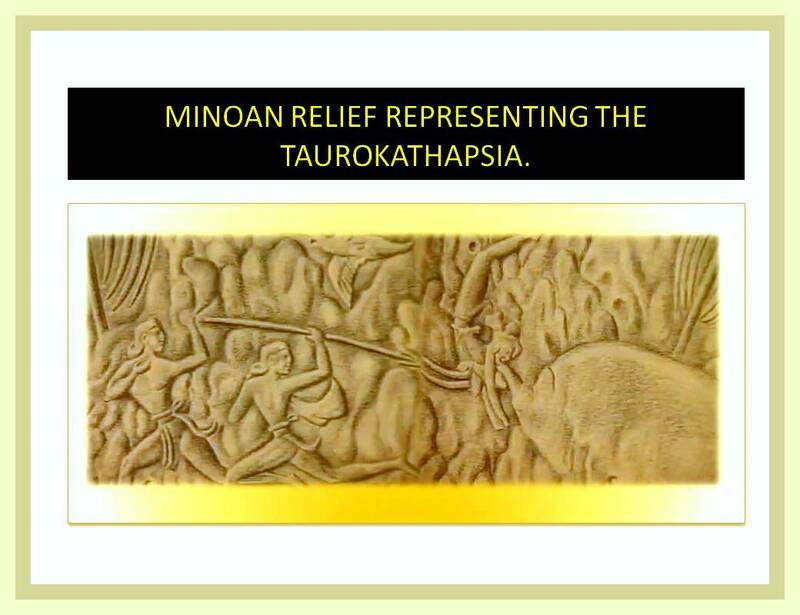 This theme was profuse represented in the Minoan Art. 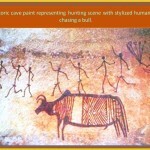 “Bull jump games with maneuvers of evasion by an acrobat. There were goldsmiths who jewel lot of sophisticated utensils, with a delicate sensitivity and dexterity; intended for the body adornment. The large amounts of jewelry as well as its quality and the costumes of the ladies wore with them reflect a refined luxury and interest in highlight the body with vanity. 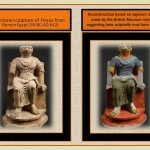 The Women figure in ancient Crete. 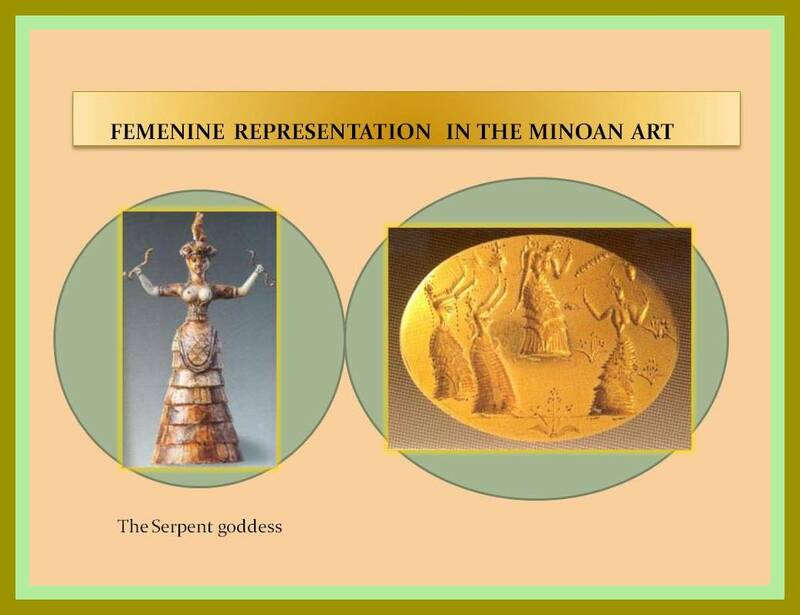 The Women figure was very important in the Minoan society they were respected and consider as equal of men’s sustaining high responsibilities in their society and towards their families as well. 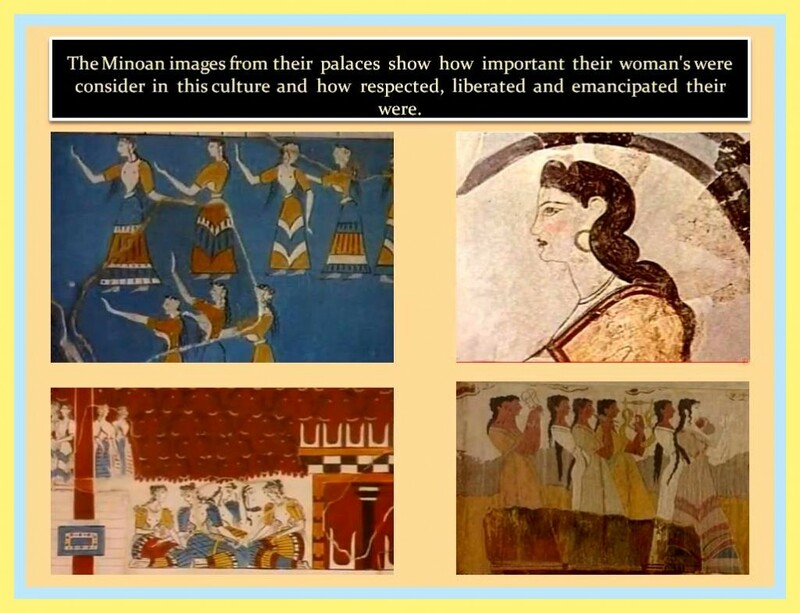 Crete or Minoan has a matriarchal society characteristics. 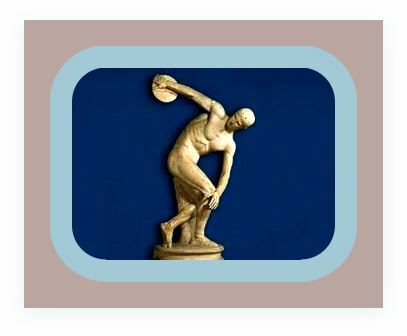 This taste for highlight the human body in its works of art extends to all demonstrations artistic as painting, architecture and ceramics. Dance is not far behind when it comes to highlight the body and their attributes and we see examples of this in the Ladies Dancing who are embossed in a beautiful ring of gold found in the Museum of Heraklion. The figures of women with voluptuous breasts exposed framed by the “Toreras” belted to the body are a sample of that boldness and flirtatious aimed to draw attention to the body. An example of this is the image of the goddess who holds snakes in their hands. 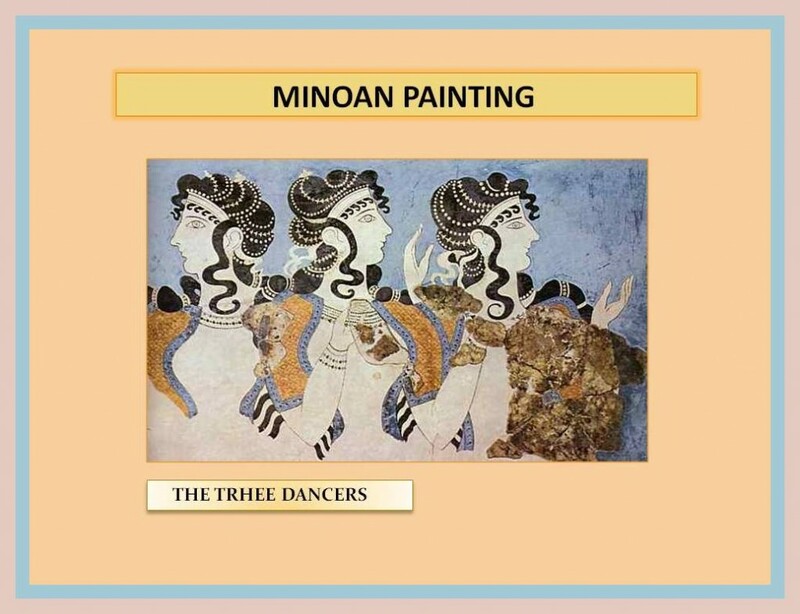 Because the role of women was so important, Minoan artist during that time protrayed figures of women in many of their painting, and by this images represented have been available to know today a little better about important aspects of the Minoan society. Unfortunately most of the fabulous palaces were destroyed, but its cultural wealth can be seen in the ruins that are today still standing. 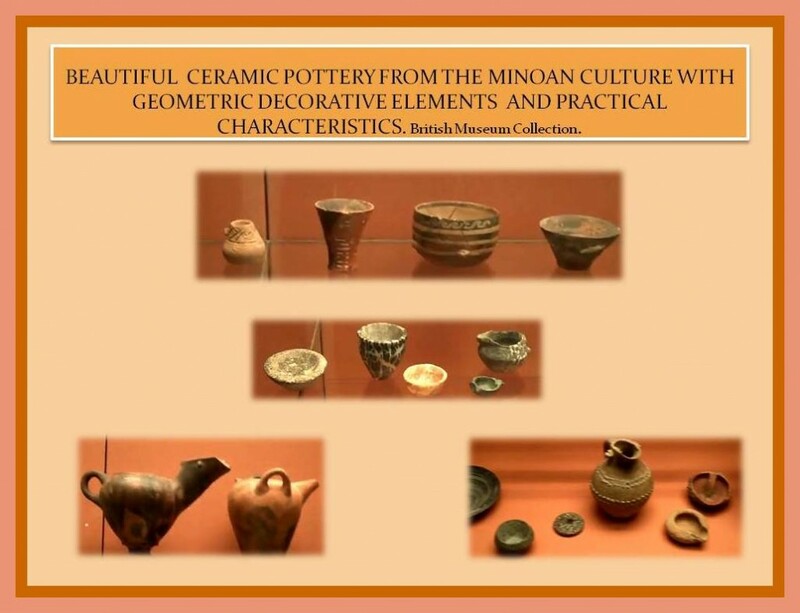 Such a beautiful heritage influenced the Greek culture to which transcended the aesthetic concepts of the Minoan in relation to taste by the representation of nature and idyllic everyday scenes, as well as they preference to show the perfection in the details of the pieces. 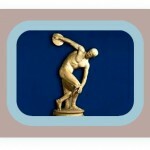 The detail of the human figure representation; the sinuosity, beauty and perfection of the curves of the body, the fondness for sports; dance, and physical activities in general; as well as maintain a healthy body, are important part of this cultural heritage received from the Minoan and with which the Greeks felt so identified. 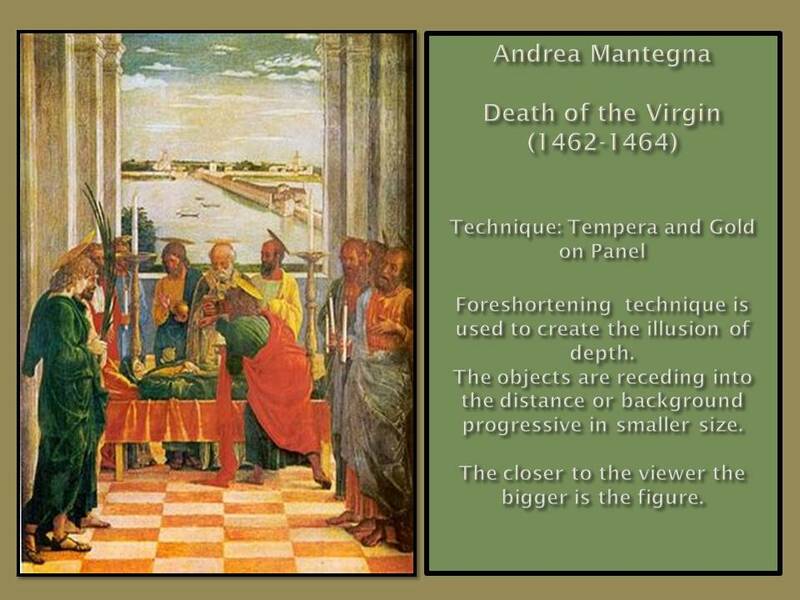 We can see in their painting how they represented joy, love for natures, and other thematics from sports, festivities, ceremonies, and everyday life events. 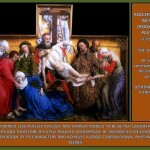 They sensibility towards beautiful things made the images highly detail oriented. In their ceramic production are also represented this characteristics and thematics like the ones their used for painting in the walls. Their ceramic combine the beautiful decoration with the practical aspect of the potter purpose. 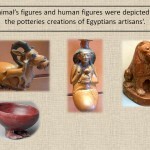 Their ceramics are of a quality that amazes for its time. 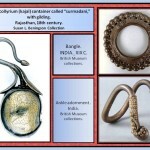 Even cultures that succeeded them did not develop so much excellence and skill in creating these pieces. Its decorations with natural elements such as plants, flowers and animals were as good as the one made with geometric motifs. The vessels that depict the human figures show religious and heroic themes but also mundane topics such as sporting events and dances. Large ceramic jars have been found in the ruins of the Palace of Knossos and the island of Santorini. The end of the Minoan civilization is caused by several factors one of them the Achaean invasion, in 1450 BC, where they suffered the invasion of the Mycenaean. 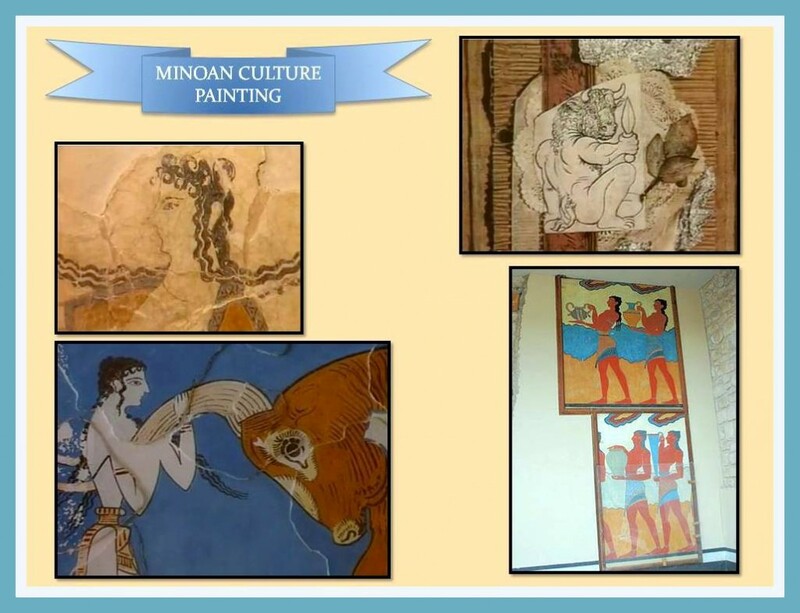 Much of its population, mostly craftsmen, are transferred to the region of the Peloponnese and this fact help to convey the main features of the Minoan culture elements to the Greek world. 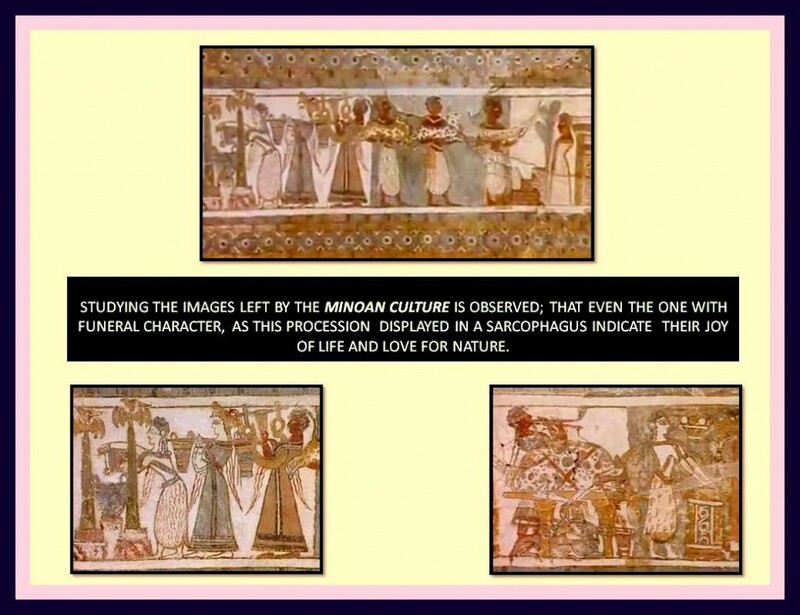 Another event that must have contributed to the disappearance of this interesting culture is a natural phenomenon of large proportions, probably larges amount of water from the sea as consequence of an earthquake or volcano that destroyed most of the rich cultural heritage of the Minoans Art. Been debilitated by the natural phenomenon that produced their dimise was easy for the Mycenaean invaders to occupy the Creta territories.